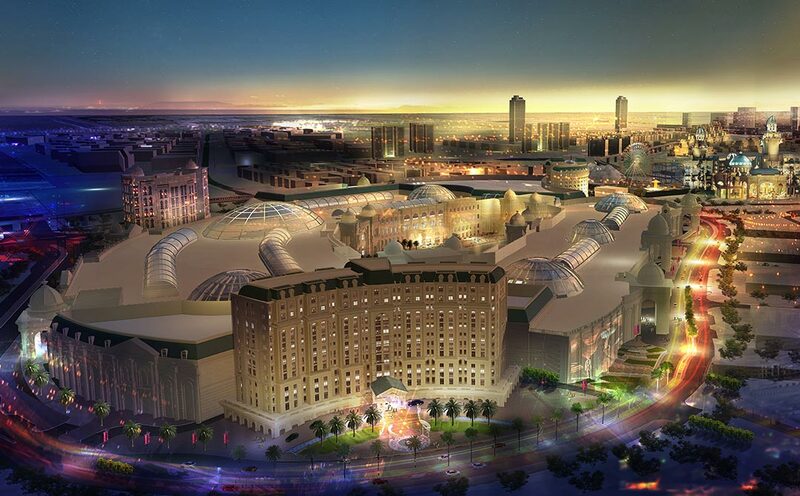 Working closely with the client, AEB developed the architectural design of Qatar Entertainment City mixed use development. Located in a prime location in the new satellite city Lusail, encompassing a plot area of 186,933m², this under construction mixed use project is one of its kind in the state of Qatar. 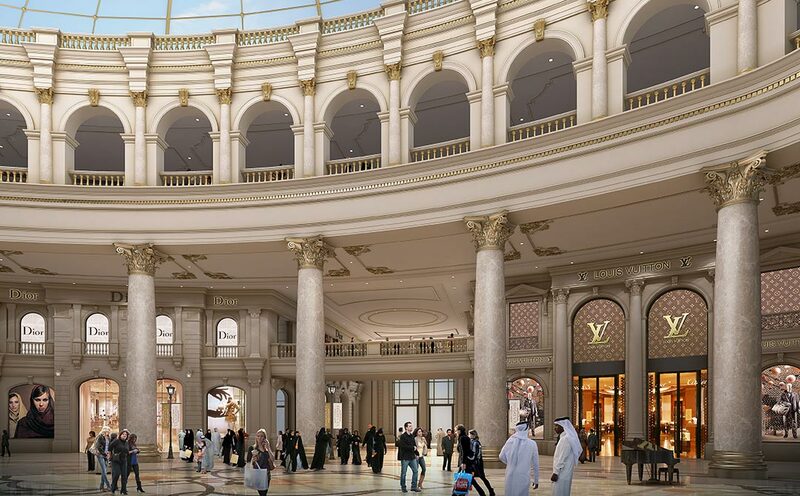 This complex consists of the largest shopping mall in Qatar with a built up area of 148,000m² and hospitality areas comprising of a luxury hotel, a family luxury hotel & serviced apartments of 55,000m². 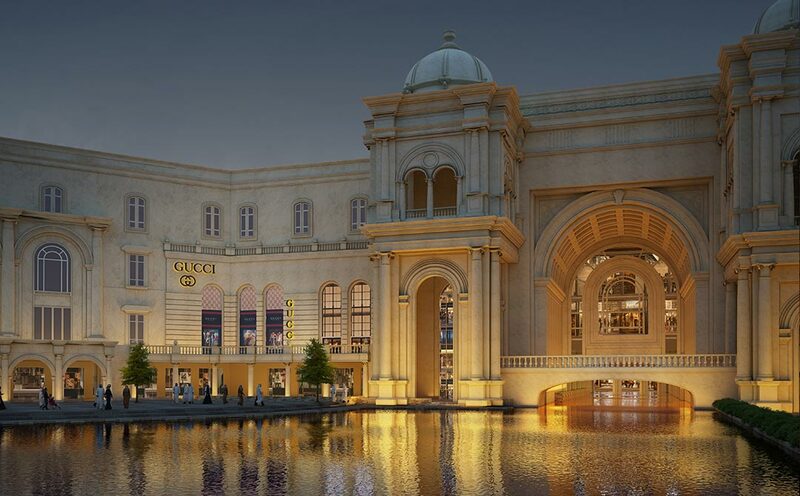 The well balanced retail mix of high end shops, in-line medium range shops, entertainment, media, and food and beverage facilities occupy all four floors of the mall. 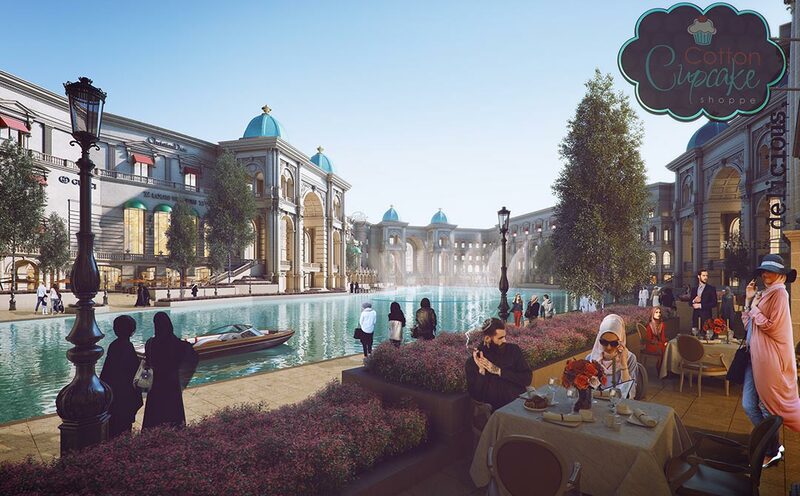 Arab Engineering Bureau faced a number of design challenges, such as expressing classical French-inspired architectural elements in the Arabian Gulf environment in a meaningful, luxurious and entertaining approach, and creating a destination where families can spend their whole day, in a green urban environment. Interiors reflect the same classical French style in the shopping mall area, and a calm, luxurious feel in the hotel, offering guests a place to rest after a busy day. The water canal running through the interior and exterior of the development creates an open plaza experience with cafes’ and restaurants overlooking the water. This creates a sense of connection between indoors and outdoors where the visitors can experience the landscape of dancing fountains with one of the world’s largest architectural 3D laser shows outside, while enjoying a meal at one of the outdoor restaurants.